I love oatmeal for breakfast. It’s an easy, satisfying, and healthy meal. Oats are the perfect breakfast food year round because you can add whatever fruits/flavors are in season and eat it hot or cold. Did I mention I love oats? 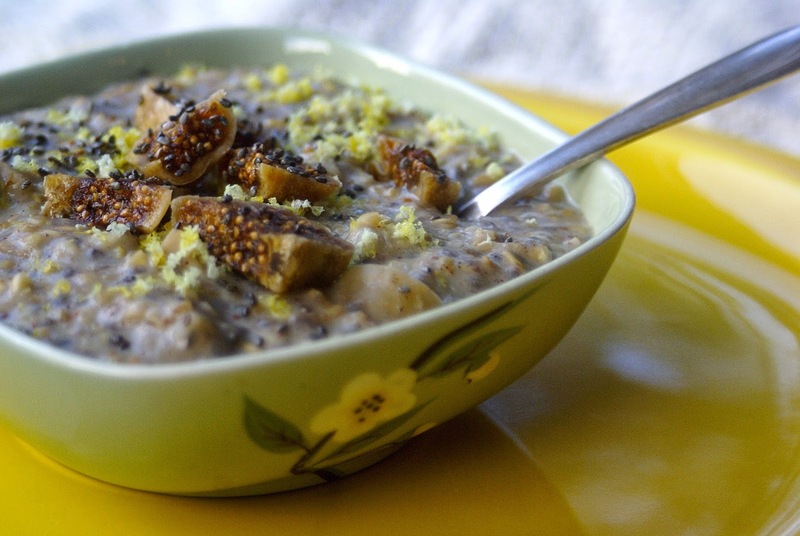 Today I want to share my current go-to oatmeal recipe, two different ways. One recipe uses steel cut oats that are soaked overnight and cooked to perfection, while the other is made with classic rolled oats. 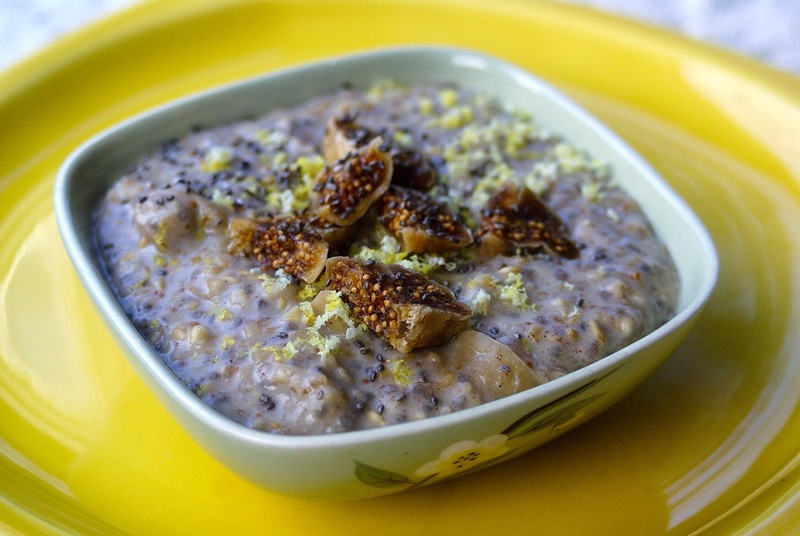 Both recipes are chock full of figs, chia seeds, and cinnamon, resulting in a creamy, naturally sweet, nutritious breakfast porridge that is sure start your day off right! One of the cool parts of this recipe is that you can freeze individual portions after making a batch so all you need to do is throw one in the microwave in the morning while getting ready. Breakfast will be ready in a snap! I started using steel cut oats recently to switch up my usual routine. Steel cut oats are slightly nuttier than rolled oats, as well as chewier, and are a great change if you’ve been having rolled oats for the past few months. Steel cut oats are the whole oat grain, whereas rolled oats are steel cut oats that are flattened with the husk removed. Because of that process, rolled oats take much less time to cook. The comparatively long cooking time of steel cut oats has always stopped my from using them. Why make oatmeal that takes forty minutes when I can make oatmeal that takes five minutes? Turns out, soaking steel cut oats overnight greatly decreases the cooking time while also making them more digestible. Whole grains contain phytates, or indigestible organic acids, that when left untreated, bind to minerals and block their absorption. Soaking whole grains neutralizes the phytates and allows all of their nutrients to be absorbed. But enough of the nutrition profile. 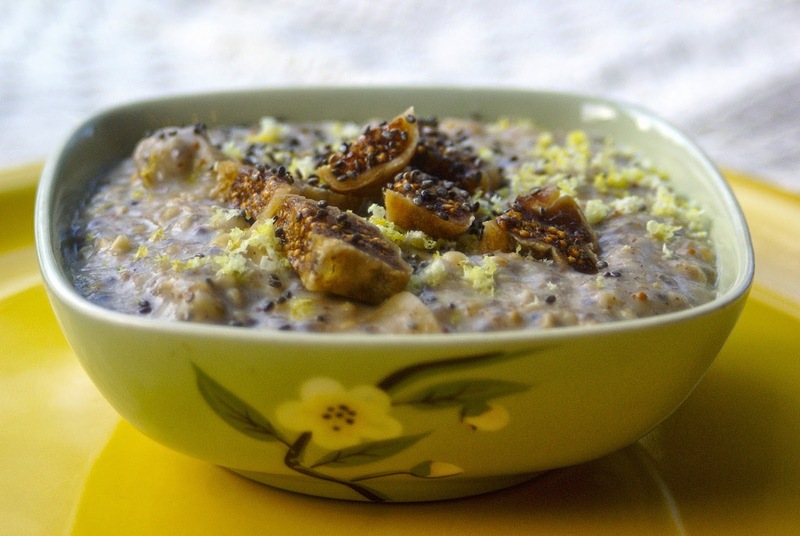 You should try these oats because the flavor is amazing! Dried figs not only give this oatmeal sweetness, but also an amazing fig flavor that is complimented perfectly by cinnamon and lemon zest. I honestly was amazed by the sweetness of this oatmeal without having to use any honey or maple syrup. My mom, who has always added Splenda (yuck) to her oatmeal stopped after I introduced her to my method of cooking the oats with chopped up figs. It’s that good. Wether you make the steel cut overnight oats or regular rolled oats, you will have a memorable and satisfying breakfast. Here’s to quick, tasty breakfasts that are healthy! 1. 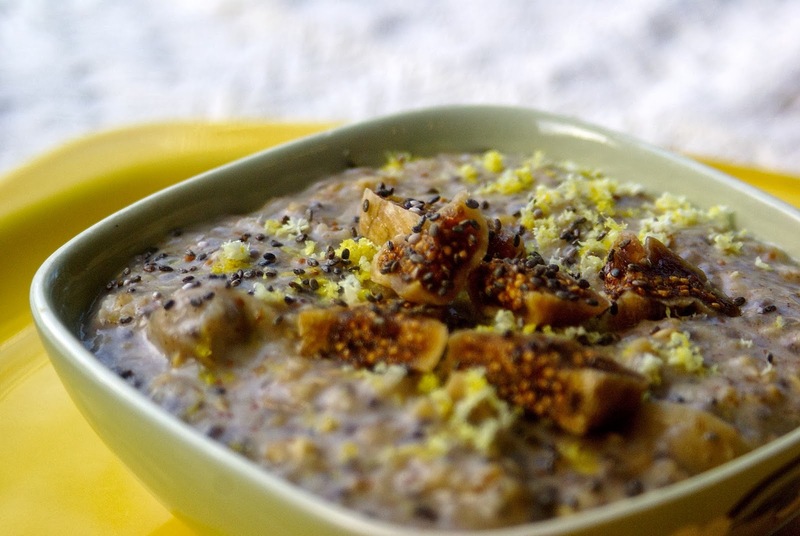 Rinse oats well, then put them in a bowl with the almond milk, chia seeds, figs, cinnamon, and vanilla. Mix well, then cover and let sit in the fridge overnight. 2. In the morning, put the oats in a medium pot and simmer for 10-15 minutes, or until tender. Serve warm with toppings of choice. If you want to freeze the leftovers, let them cool completely then portion them into small freezer ziplock bags. To re-heat the oatmeal, just remove from the bag (it will come out in a block), place in a microwave safe bowl, and microwave for two minutes. Stir the oats, and if necessary, microwave for another 30 seconds to a minute. If using the microwave: Combine all ingredients in a microwave save bowl and cook for 2 minutes. Stir the oats, and cook for another 30 seconds, watching carefully because the oats will quickly boil over the sides of your bowl if you’re not careful. Let cool for a minute before eating (oats will continue to thicken as they cool so don’t worry if they are slightly runny.) Add desired toppings and enjoy! If using the stove: Bring all ingredients to a boil in a small pot, then simmer for 5-10 minutes or until oats are tender and all the milk is absorbed. Add desired toppings and enjoy! You are too sweet! Thank you for your wonderful comment 🙂 It does seem like we have the same good taste when it comes to food…love it! ps. I am in love with your blog more! !